For Fabric 8's Audio Visual Show I had to pay tribute to The Wu Tang Clan. These little paintings are 4"x4", gouache on wood. I also used wood stain to bring out the wood grain, just for kicks. 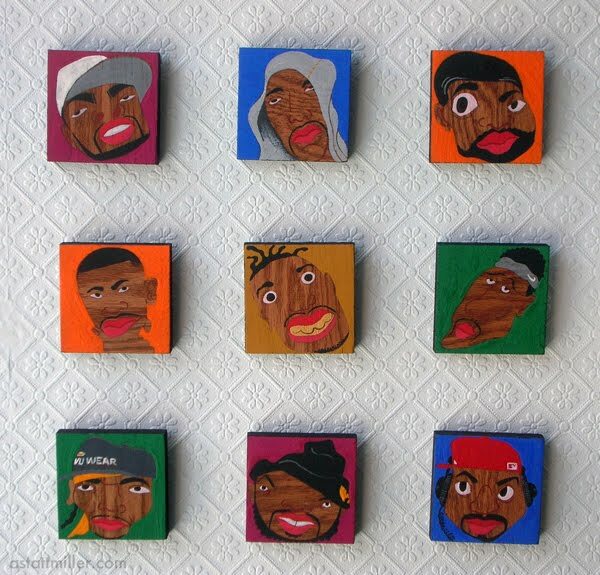 Wu Tang Clan ain't nuthin' to f#*$ with!! !